An Bord Pleanála has upheld two planning rejections in Newtownmountkennedy after appeals were lodged against Wicklow County Council's decision to refuse permission last year. The appeals involved a business and enterprise building (to include a country market) and a separate application for motor car showrooms, both at Mountkennedy Demesne. In August of last year, Wicklow County Council refused Harvieston Ltd permission for a business and enterprise building consisting of an indoor country market, own-door starter employment units, enterprise units, childcare facility, food hall and kitchen, food business development units, toilet facilities along with parking and set down areas, relocation of existing pumping station along with ancillary site development works and services. In turning down the application, planners maintained that the development would be contrary to the zoning objective and overall vision for this action area. Plans for Limerick's Opera site project have moved a step closer today. Limerick City and County Council has lodged a planning application to An Bord Pleanála for the development. 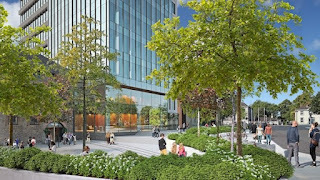 The project is expected to employ up to 3,000 people and will be the largest inner-city commercial development outside of Dublin. As well as a 14-storey office building, there are also plans for an apart-hotel, restaurants, and retail space. The 1.62-hectare site will be developed over a six-year period at a total cost of around €180m. Richard Barrett's Bartra Capital has lodged plans to bring 725 new beds to a development in south-west Dublin. The developer has a €600m residential pipeline, including more than 1,500 shared living units. Bartra has been hit with numerous planning delays, especially at its scheme in Bulloch Harbour in South Dublin. Despite the delays, Bartra said that it was "hopeful" its huge development in Cookstown near Tallaght would be approved. The proposed development is made up of 150 build-to-rent units in five- to six-storey blocks and a further 222 shared-living bedrooms in six- to eight-storey blocks. Shared living was accounted for in recent changes to apartment guidelines by Housing Minister Eoghan Murphy. It bridges the gap between apartments and student accommodation. Occupants have their own en-suite room but share a communal kitchen and living area. A lobby group has said building a direct motorway link between Cork and Limerick is a major waste of taxpayers' money, because there is another one planned which will link the two cities. The Cork-Limerick Alliance Group (CLAG) says a proposed motorway between Cahir, Co Tipperary and Limerick would link up with the M8 (Cork-Dublin motorway) and it would be just as easy for traffic coming out of Cork to travel up the M8 and join it at Cahir. CLAG chairman, Brian Hyde, said the Cahir-Limerick route would cost approximately €550m to construct and would be considerably cheaper than the €900m direct link motorway (M20) between Cork and Limerick. The proposed southside leg of the long-awaited MetroLink line is set to be massively curtailed. The line will not go all the way to Sandyford, as originally planned, as a result of opposition from residents and fears of years of disruption to the Luas Green Line. Meanwhile, the Irish Independent has learned that on the northside, facilities for Na Fianna and Ballymun Kickhams GAA clubs are set to be protected. Key details of the new plan include: The Metro will run from Swords to Charlemont Street to meet the existing Luas service. The Metro will not continue down the Green Line to Sandyford, as had been proposed. Underground drilling is to continue as far as Ranelagh to allow for future expansion. Green Line Luas services are to be upgraded over the next decade to allow for a 55m tram every two minutes. The tunnel will be single bore. A legal challenge over the granting of planning permission for a €160 million incinerator at Ringaskiddy in Cork Harbour has opened at the High Court. Mr Justice David Barniville heard that planning permission was granted last May but a planning inspector with An Bord Pleanála had recommended that it be refused. Maurice Collins SC, for a group opposing the incinerator, said there has been “a continuum of planning activity and controversy” connected to the site at Cork Harbour. Counsel said the inspector had recommended refusal of planning permission but An Bord Pleanala granted the permission by a five to two majority. A new scheme which aims to slash the rent of a two-bed apartment by more than €500 a month has been unveiled. The Land Development Agency has outlined plans for the country's first large-scale affordable rental plan. It aims to help solve the housing crisis by building thousands of homes and offering them at rent up to 25pc below the market rate. The typical rent for a two-bed apartment in south Dublin would fall from €1,850 to €1,302 a month under the proposed scheme. This would give the squeezed middle and lower- paid workers, who cannot get a mortgage, the chance to get a foothold in the market. The first project will be rolled out from the end of the year with the development of more than 300 homes in Dublin - but thousands more are in the pipeline. The first scheme is likely to be at Shanganagh in Shankill, in partnership with Dún Laoghaire-Rathdown County Council. 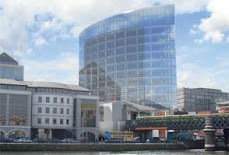 Plans by developer Johnny Ronan to increase the scale of a residential and aparthotel development in Dublin's docklands are being opposed by a number of local residents. Last month, Mr Ronan's Spencer Place Development Co Ltd lodged plans to add 122 residential units and 27 aparthotel rooms to the development. If granted, it would give Mr Ronan's firm planning permission to construct 471 residential units and a 127-bedroom aparthotel. The development is currently under construction and is due to be complete in 2020. However, seven locals have objected including Tony and Hilda McDonnell of Upper Mayor Street who have told the city council that permission must be refused as the application goes against the objectives of the North Lotts Strategic Development Zone (SDZ) planning scheme. Midleton GAA club has secured planning permission for a move to new grounds to cater an expansion in its membership. An Bord Pleanála has rejected an appeal by a local resident living near the site of the proposed new clubhouse at Park South off the Youghal Rd in the east Cork town. The planning appeals board upheld the original decision of Cork County Council to approve the development of new facilities for Midleton GAA club against the recommendation of its own inspector. Subject to a number of planning conditions, the board said the new club grounds would not seriously injure the residential or visual amenities of the area. Galway Hospice has decided not to appeal the “devastating” refusal of planning permission for a new facility on the grounds of Merlin Park hospital. The board of the hospital said it had “reluctantly” decided not to seek a judicial review of An Bord Pleanála’s decision because of the significant costs and risks involved. The provision of a new hospice in the city will be greatly delayed as a search is undertaken for a new site, it warned. The current hospice facility on the Dublin Road at Renmore is not fit for purpose and the search for a new site began in 2010. 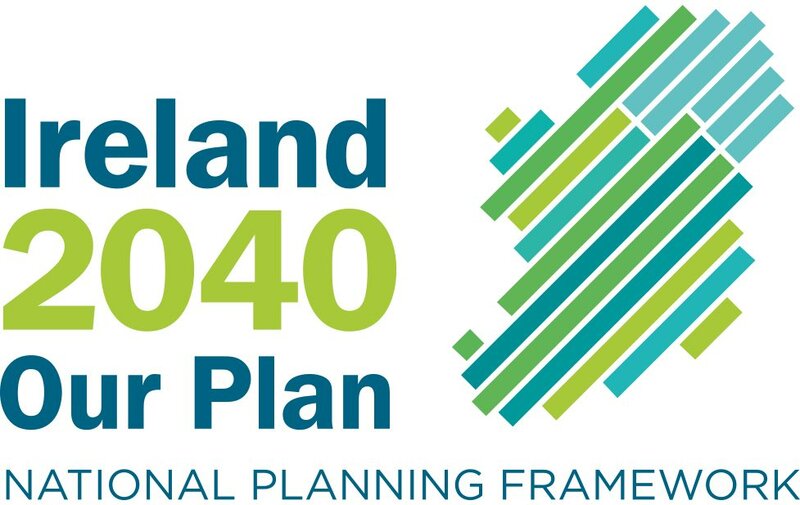 The proposal to build a new facility at Merlin Park was approved by Galway City Council and recommended by an An Bord Pleanála inspector but overturned by the planning board, who said the development would be “inappropriate and contrary to policies to protect natural heritage”. Plans to convert a 1960s office block in one of Cork's most desirable residential areas into a €10m social housing scheme have been unveiled. Cork City Council has published a Part 8 planning application today seeking permission to adapt and extend the former Springville House in Blackrock, and then change its use to facilitate the development of 35 residential units within the fabric of the existing office building. The plans are open for public consultation until May 13. The prime 0.6-acre site on the city's Blackrock Rd, close to Ashton School and the South Link Rd. A complex of six “rapid build” social housing apartment blocks, up to five storeys high, is to be built beside the Phoenix Park in Chapelizod by Dublin City Council, without going through the planning process. Work is due to start next month on the complex of 71 apartments, which is set to be the first prefabricated apartment development built in the city, on the site of community allotments at Springvale opposite the 19th-century Church of the Nativity on Chapelizod Road, Dublin 20. Local residents have described the development as “disastrous” for Chapelizod village but have had no opportunity to appeal the scheme because the council is developing it without seeking planning permission. Plans for five blocks of student accommodation up to eight storeys high on Dublin’s Parnell Street are facing opposition over the partial demolition of the old St Peter’s Bakery. SP Bakery Ltd intends to apply to An Bord Pleanála for fast-track planning permission for the complex for 257 students at the east end of Parnell Street, close to the junction with Gardiner Street and opposite the 491-bed Kavanagh Court student scheme. Under the Strategic Housing Development system applications for schemes of more than 100 homes, or blocks of 200 student bed spaces, are made directly to the board, bypassing the local authority decision phase. The chief executive of a major New York construction company has hit out at the influence of holiday homeowners in the planning process in rural Ireland, saying environmental objectors are getting “to dictate” the needs of communities.There is growing anger in south Kerry that plans for a revamp of the landmark Cable O’Leary’s bar and hotel, the only facility in the village overlooking Ballinskelligs Bay, have been blocked after a number of objections, primarily from some of the roughly 300 holiday homeowners in the area. Amid continuing decline in population, just 50 houses are now occupied on a permanent basis in what is the heart of the south Kerry Gaeltacht.